Watch for ticket sales starting in January, 2019 at: https://www.pps.net/domain/4324. Merle Lotz went to share his music with the angels on November 30, 2018 at the age of 91. Merle’s life was guided by his love for music, family, and God. Born in 1927, Merle’s dedication to music began as a child in Altoona, PA, where he practiced the piano while other neighborhood children played kick-the-can on the street outside. 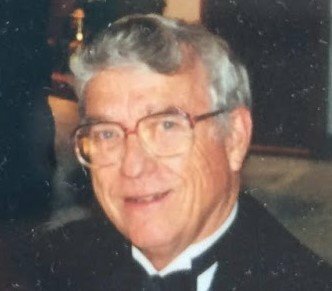 His hard work paid off with music scholarships to Valley Forge Military Academy and to the Curtis Institute of Music, where he also played the bassoon; he eventually enrolled in the Naval School of Music and served in the Navy from July 1945 to August 1946. After his time in the service, Merle attended Drake University in Des Moines, Iowa where he met and fell in love with Patricia Frederiksen, a fellow piano student. The two married on June 26, 1949, and soon after, they moved to Portland to take jobs as music teachers in 1950. For the next three summers, they returned to Drake so that Merle could complete his Master’s degree. 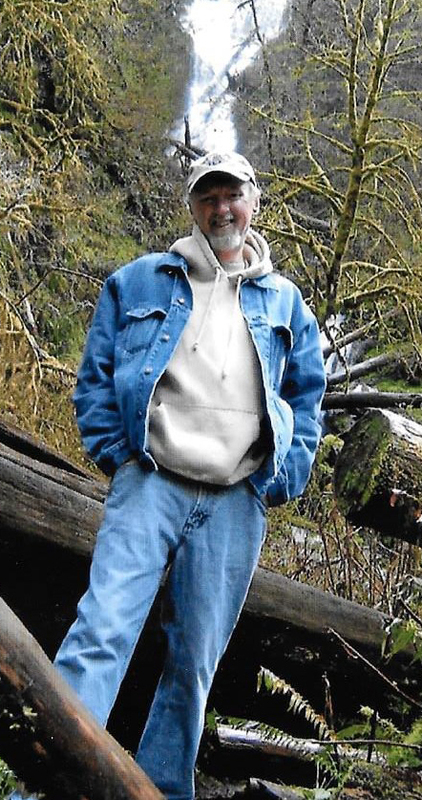 Merle’s life in Portland had many branches reaching deeply into the heart of Portland’s music world; he served as choir director at Bethany Lutheran, then Central Lutheran, and finally at St. Luke Lutheran in SW Portland. 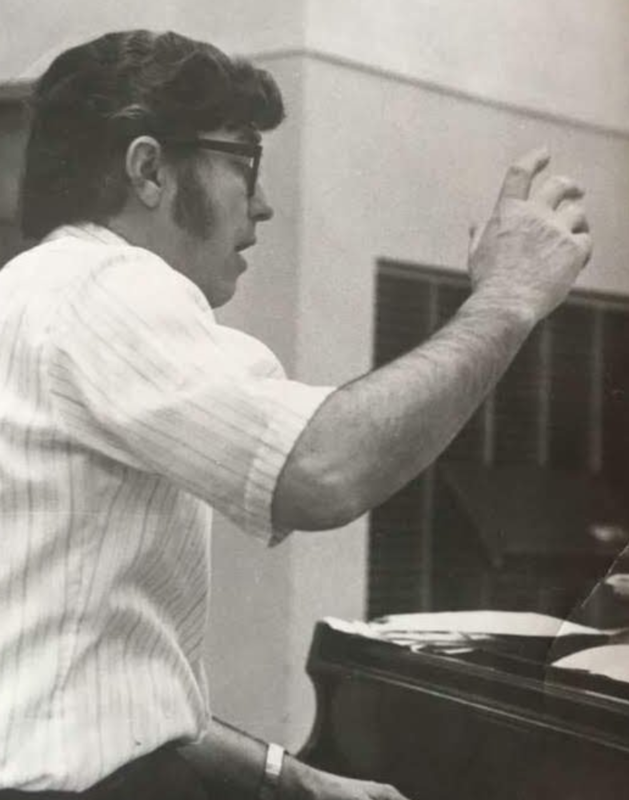 He also held positions as choir teacher at Jefferson, Benson, and Wilson High School; with the support of American Heritage Society, he and Pat took the entire Wilson High choir on a European tour in 1971, creating lifetime memories for 70 young singers. In addition, Merle performed with his dance band--frequently joined by his sons Matthew and Mychal - at social events throughout the Portland area. Merle was also the pianist for the Oregon Symphony Pops under Norman Leyden for 24 years, forming a deep musical partnership and performing memorable and spirited concerts. Despite his busy schedule, “Papa” always had time for his family and friends. He and Pat were part of several bridge groups, and their many parties, with music and laughter spilling out onto their deck in the warm months, were memorable. His children and grandchildren also cherish the memories of their family summer camping and boating trips during which Merle presided at the campfire as the executive pancake chef and bacon fryer. “Papa” will be kept closely in the hearts of his wife Pat of 69 years, their four children, Matthew (wife Chris), Mychal (wife Theresa), Meridee (husband Mark), and Mark (wife Louanne), and their 15 grandchildren and 11 great grandchildren, as well as their many friends and former students. A celebration of Merle will take place at 2:00 p.m. on Sunday, December 30 at St. Luke Lutheran Church, 4595 SW California St. in Portland. In lieu of flowers, the family asks that donations be made to the Merle Lotz Music Scholarship at Wilson High School by check payable to Wilson High or online at http://pps.schoolpay.com/pay/for/Merle-Lotz-Scholarship-Fund/lej4q. 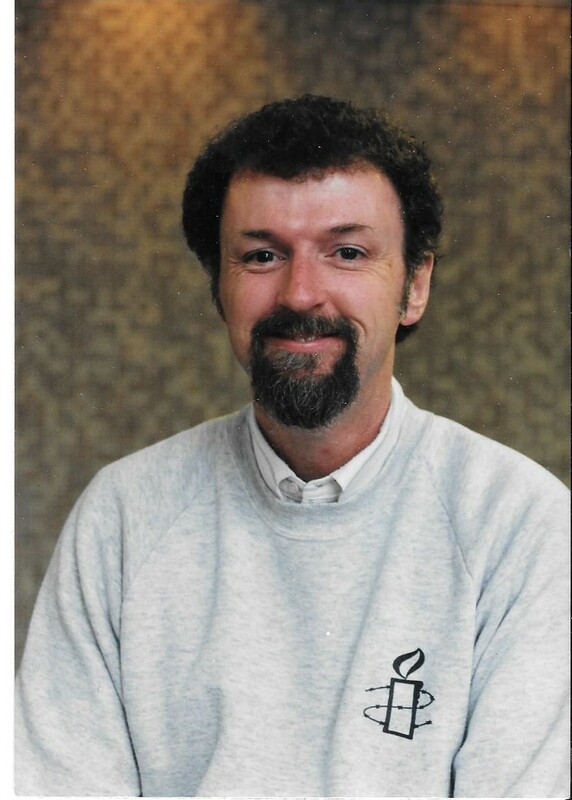 Steve Anderson taught at Wilson from Fall, 1984 through Spring, 1996. He taught Political Science, Economics, and Practical Law. Steve also coached the Wilson Mock Trial Competition teams. His youngest son attended Wilson for two years in the early 2000s. Mr. Anderson recently had the good fortune to reconnect after all these years with former Wilson High School student M'Leah (Molly) Woodard '92. He says, "Molly's father and I were fraternity brothers at Oregon State University). Molly sent me the link to your Wilson HS Alumni newsletter." He says, "I have had the pleasure of keeping in contact with a number of Wilson HS students and staff, which has been great. Prior to my teaching at Wilson, I taught at John Adams HS, Grant HS after Adams closed, then Wilson. I left Wilson at the end of the 1995-96 year to teach with former Adams HS colleagues at the Portland Night High School (not Benson), which had started at Adams, but was relocated to the basement at Grant HS when Adams was closed in 1981. I retired from PPS at the end of the 1998-99 school year, and am now in Corvallis." 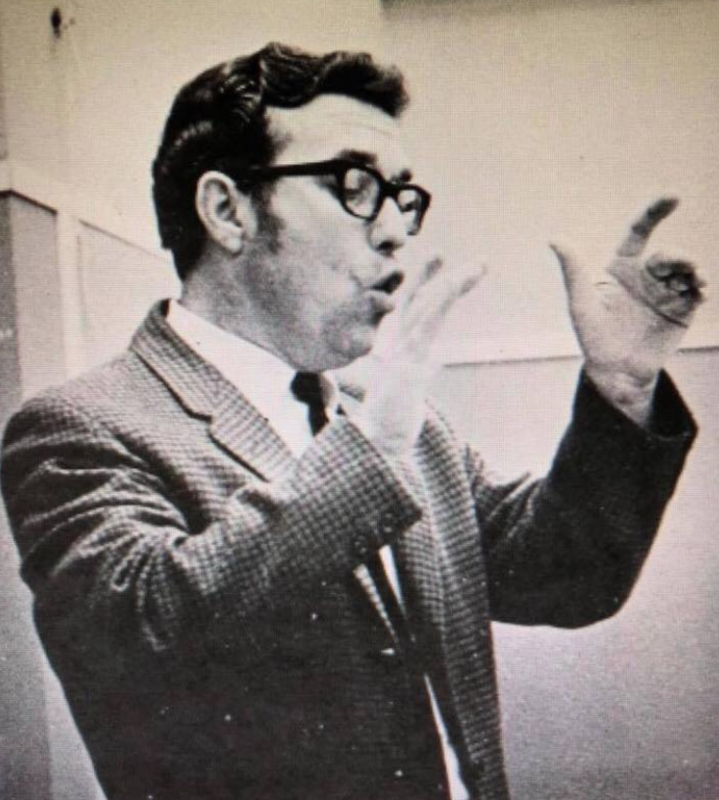 We'd like to post of photo of Mr. Anderson during his teaching days at Wilson. Does anyone have a 1990 Troyan yearbook? We understand that there is a good photo of Mr. Anderson on page 173. We'd appreciate a copy of the photo for the alumni e-newsletter. He says the photo, "best captures my skill as a teacher that former students would remember. This photo was taken with a grand sense of humor, which makes it all the more memorable." Steve tells us that he has taken the time to look through the Wilson alumni website and spent some time going through the "no longer with us" postings. He says, "I found that Nick Hanches had passed away recently. That really hit me, as I had been meaning to swing by their place for years. Saw many other dear friends, colleagues, students who have passed, made me treasure even more my years at Wilson." If you would like to reconnect and reach out to Mr. Anderson, you can send him an email by clicking on this link. 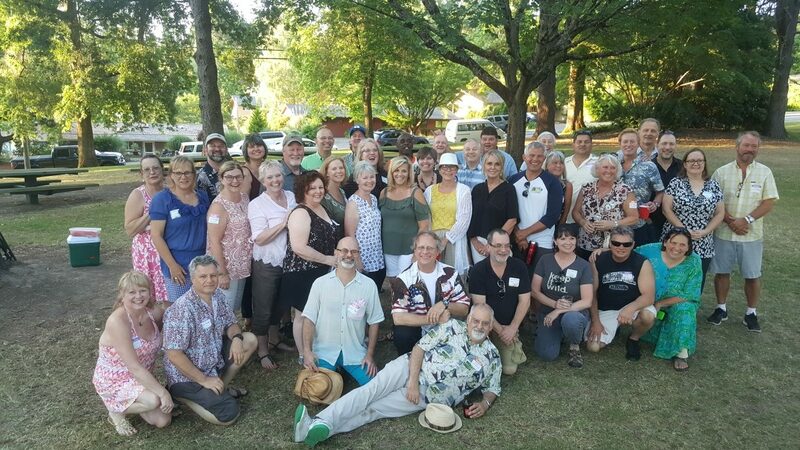 Classmates came from all over to meet up for their 40th reunion. First, they met on Friday, July 27, 2018 at the Cider Mill Restaurant in SW Portland (owned by Toby Harris '89). Then off to Gabriel Park for a picnic on Saturday, July 28. Thanks to Linda Lieberman Evans '78 for the photo. Thanks to Maureen Berrie-Lawson, Brian Rosenthal, Cathy Murphy, Debbie Boyce, Brian Haber, Karol Pearson Smith, Tamara Croft Trapp, Lorrie Morris, Charlotte Rich, and Kent Fairfax. Maureen Berrie-Lawson agreed to spearhead the reunion, by insisting they "KISS", made Gabriel park reservations and bought nametags. Brian Rosenthal brought and set up the sound system and playlist, Cathy Murphy and her alum husband, Kevin Murph,y brought extra chairs, coolers. Debbie Boyce made a balloon memorial, and Lorrie Morris brought green star balloons so everyone could see where we were. Kent Fairfax contacted the Cider Mill creating a meet and greet on Friday night. Everyone contacted classmates they knew were not on Facebook, so they were able to contact close to half of their class. Classmate Dan Baltus offered his home when weather discussion came up about how hot it would be at the park. They decided to have an annual meet up from now on, so alum Eric Starr will host one at his pub in Battle Ground - Northwood Public House, and Dan Baltus will host another time too. They absolutely "Kept It Simple, Stupid" and everyone had a great time at both events. People should be checking their facebook page for further details of meet-ups to come: Woody Hi PDX '78 Reunion. There is an Event tab to check on the page and we are not closed to our class only. Wilson grads from other classes are welcome too! People can always contact Maureen Berrie-Lawson: grumpyswife925@gmail.com. wilson68.org > Photo Gallery. Full details of the reunion plans can be found at: http://wilson68.org/50th-reunion/.